Under the Obama administration’s Affordable Care Act (ACA) (also known as Obamacare), insurance companies can’t deny a person solely based on pre-existing conditions. This, of course, allowed many to gain insurance when previously denied or were otherwise unable to pay high premiums. 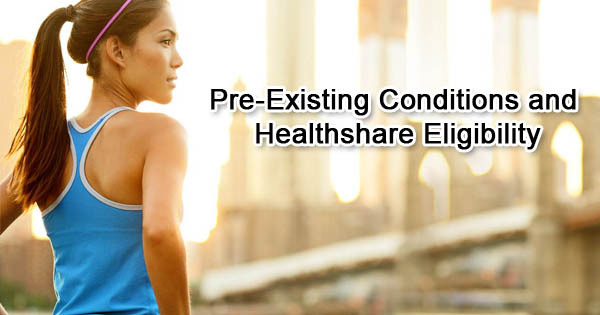 When shopping around or considering switching to a healthshare plan, checking out the clause regarding pre-existing conditions is extremely important to make an educated decision. Do Healthshares Accept People with Pre-Existing conditions? Yes! Many healthshares absolutely do. However, most have limits and rules about what and how much of the medical expenses can be shared. In fact, many healthshares have a lifetime cap in which the member cannot exceed. For most costly conditions, traditional insurance might suit the individual best. Of course, every healthshare has their own rules and procedures, just like any institution, but many of the practices are similar. Here are some concrete examples. Medi-Share handles pre-existing conditions differently. To get coverage up to $100,000 a year, a member must go 36 consecutive months without symptoms or treatment or has been a member for 36 consecutive months. For coverage up to $500,000 a year, the member must go 60 consecutive months or has been a member for 60 consecutive months. AlieraCare will drop the status of pre-existing condition after three years. For the first three years, however, they have a bit stricter limit on what is eligible for sharing. During the first year, pre-existing conditions are eligible for coverage up to $15,000. For the first two years, the coverage is $25,000 (including the first year’s $15,000). For the first three years, the coverage is $50,000 ($15,000 for the first year, $10,000 for the second year, and another $25,000 for the third). People with pre-existing conditions shouldn’t be afraid to switch to a healthshare if that’s the best decision for them. While there are limits, most find the limits manageable. As we’ve outlined above, several healthshares even drop the pre-existing condition status after three years. If you’re not sure about which ones are best for pre-existing conditions, do some research. You might be surprised at what you’ll find.